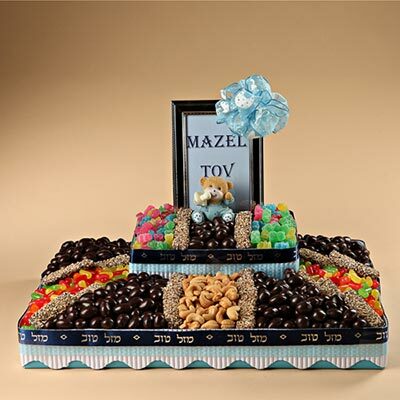 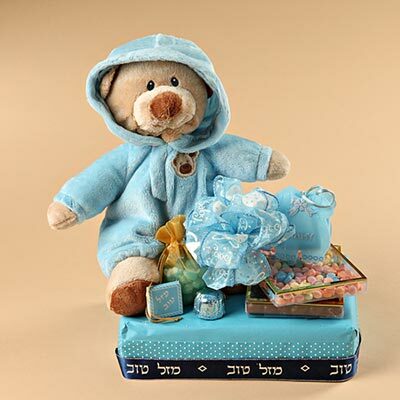 Mazel Tov on the new baby boy! 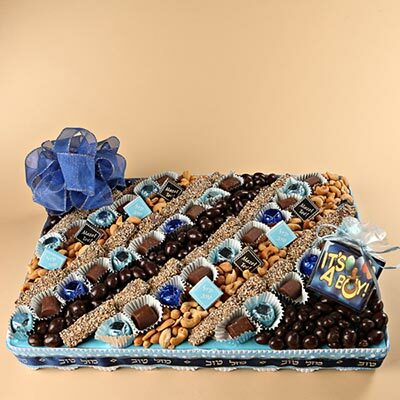 A popular 2 tier gift platter to welcome the baby boy! 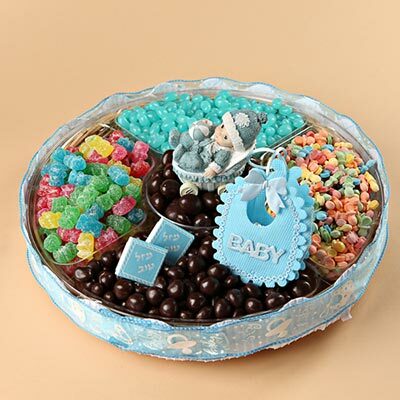 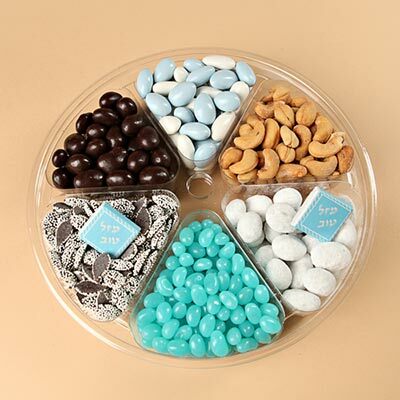 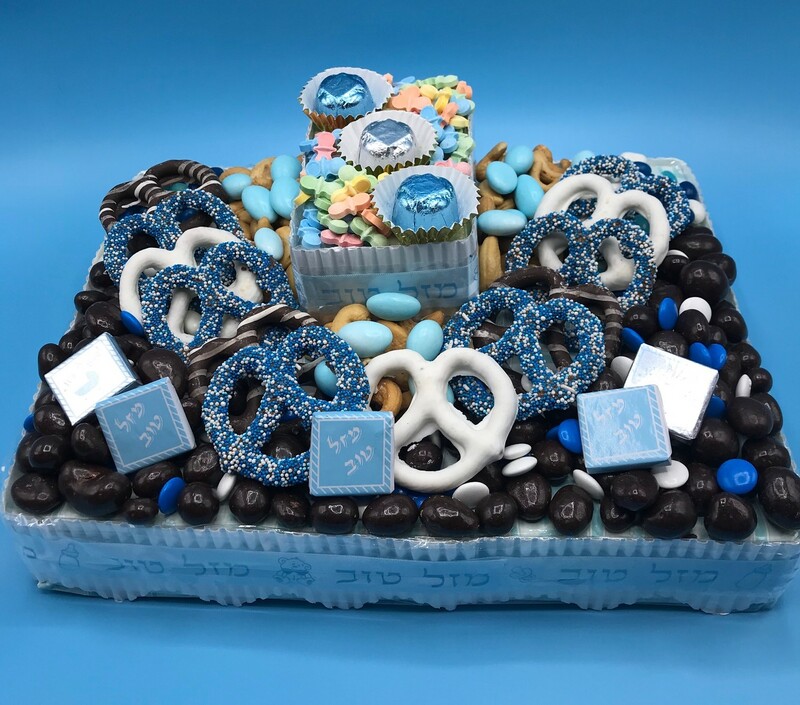 Platter is filled with chocolate pretzels, cashews, chocolate bridge mix, jordan almonds, pacifier candies and chocolate truffles. 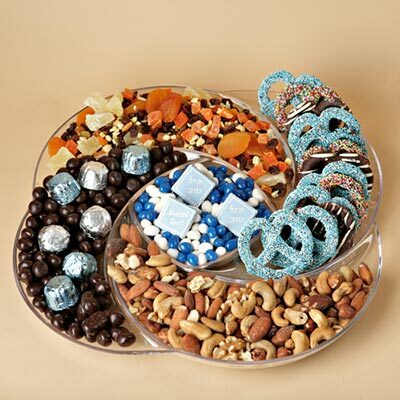 Makes a lovely centerpiece. 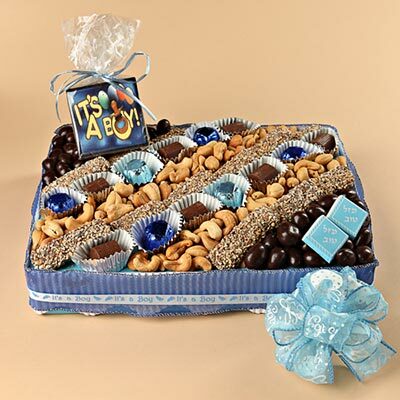 Hand delivery only.